Marilyn J. (Desourdis) Colella, 92 of Worcester, passed away peacefully on Monday, December 24, 2018 at Notre Dame Long Term Care Center with her family by her side.Marilyn was born in Worcester, a daughter of the late George O. and Lillian F. (Liberty) Desourdis where she was a graduate of Commerce High School. Marilyn worked as the Executive Assistant in the Environmental Building Services department at UMass Medical Center for 25 years before her retirement, a job she loved. She was also the former secretary for the UMass Retiree Association. Marilyn was a remarkable cook, everyone was welcome. 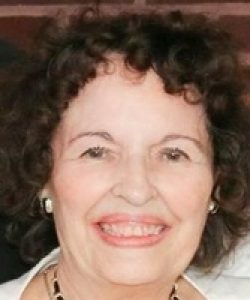 She enjoyed sewing, playing piano, reading, musicals, oil painting, ballroom dancing, and family vacations in Brewster. Above all, Marilyn cherished her children, her commitment was infinite, as was her devotion to her grandchildren. She was an inspiration, compassionate, gentle, generous and loving. She will forever be known for her inner strength, optimism, youthful glow, warm and beautiful smile. Marilyn’s husband of 59 years, Rudolph J. “Skitz” Colella passed away on January 11, 2007. She is survived by her two sons, Joseph Colella and his significant other, Veronica Von Allworden of Langley, WA and Jeffrey Colella and his wife Mikel of North Hollywood, CA; her daughter, Laurie Colella and her significant other Michael Gentile of Holden; five grandchildren, Joshua Barlow and his wife Lindsey of Boston, Zachary Barlow of Boynton Beach, FL, LeeAnn Marien and her husband Paul of Boylston, Emilee Lewis and her husband Will of West Hartford, CT and Seth Colella of Langley, WA; four great grandchildren, Vivian and Desmond Barlow, Allison and Patrick Marien; many nieces and nephews. 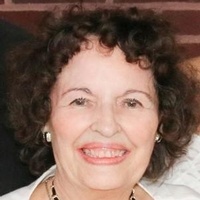 Besides her husband and parents, she is predeceased by her beloved daughter and son-in-law, Cynthia Barlow who passed on September 2, 2018 and Stephen Barlow; three brothers, Paul and Robert Desourdis and G. Kenneth deSourdis; three sisters, Eloise Curl, Jean Davis and Jacqueline Moore. The family wishes to express their sincere gratitude to all those who cared for Marilyn during her residency at Notre Dame Long Term Care Center. 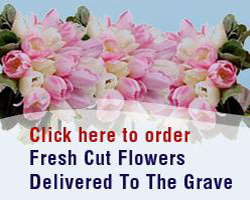 Services for Marilyn will be held at a later time. 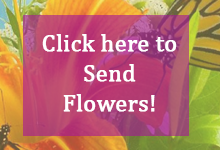 MERCADANTE FUNERAL HOME & CHAPEL, 370 Plantation St., Worcester is honored to be assisting the family with arrangements. Memorial contributions in memory of Marilyn can be made to: Notre Dame Long Term Care Center, 559 Plantation Street, Worcester, MA 01605.